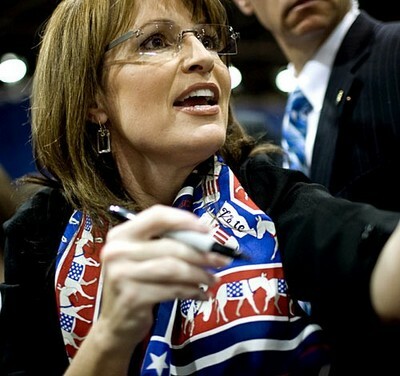 Palin’s scarf says vote Democrat! This was on Oct. 21, I just noticed the story today. Those are Donkeys on her scarf!